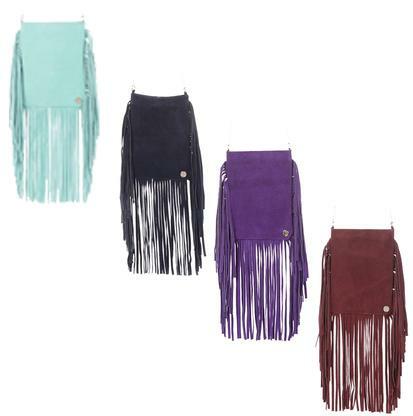 Leather crossbody purse with leather fringe detail. Features antiqued metal logo medallion at back. Available in turquoise, purple, cream, fushcia, burgundy, and navy.